Home › Home and Kitchen › Precious Moments Birthday Gifts Keep Looking Up Birthday Train Age 6 Bisque P.. Precious Moments Birthday Gifts Keep Looking Up Birthday Train Age 6 Bisque P..
A thoughtful birthday gift for any 6-year old! 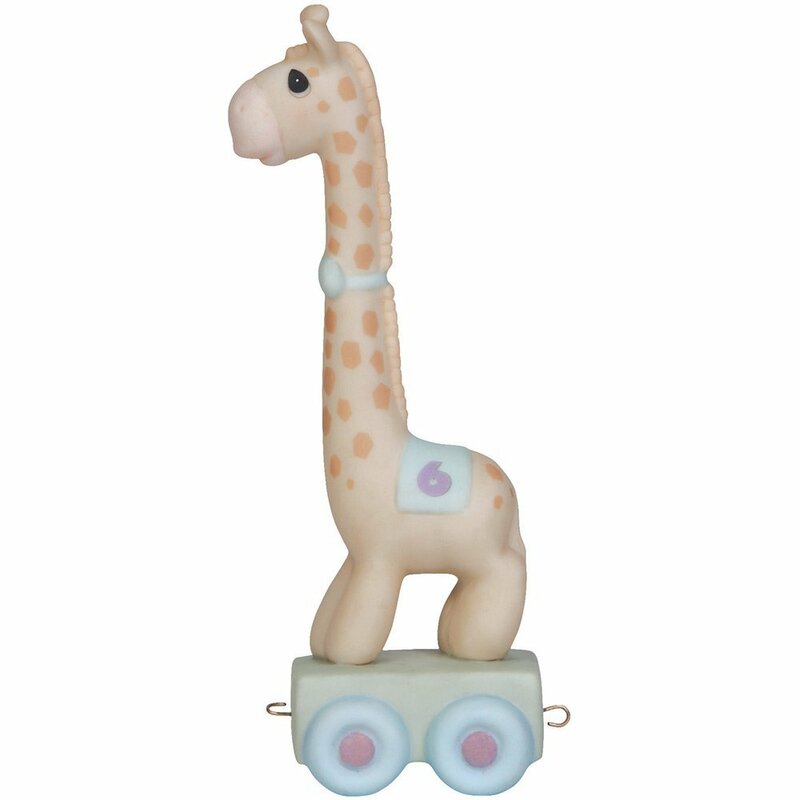 As a sweet youngster celebrates six special years, thislong-necked friend encourages them to keep looking up and to always aim high.Part of the Precious Moments Birthday Train, both ends of this piece connectto other figurines in the series helping to honor all their birthdays frombirth to 16 years. Meticulously hand painted and crafted of fine bisqueporcelain, it is the perfect birthday gift for any six-year old – a 6thbirthday present that will never be forgotten! Approximately 5.5 inches high.From the Manufacturer As a sweet youngster celebrates six special years, thislong-necked friend encourages them to keep looking up and to always aim high.Part of the Precious Moments Birthday Train, both ends of this piece connectto other figurines in the series helping to honor all their birthdays frombirth to 16 years. Meticulously hand painted and crafted of fine bisqueporcelain, it is the perfect birthday gift for any six-year old – a 6thbirthday present that will never be forgotten! Approximately 5.5 inches high.